The North West Coastal Forum is currently working with the Marine Management Organisation and other coastal partnerships around England on the EMFF Funded Enhancing Stakeholder Engagement project. As well as ongoing help in identifying people likely to have an interest in the development and implementation of the North West Marine Plan to ensure they have an opportunity to get involved in the plan vision and policy development work, we will be running several marine planning workshops, including cross border workshops with Wales. In addition to this work we have also been helping with delivery of the first 2 MMO-run workshops on issues and evidence and emerging policy and vision work, co-Chairing and facilitating at workshops in Feb 2017 and 2018. 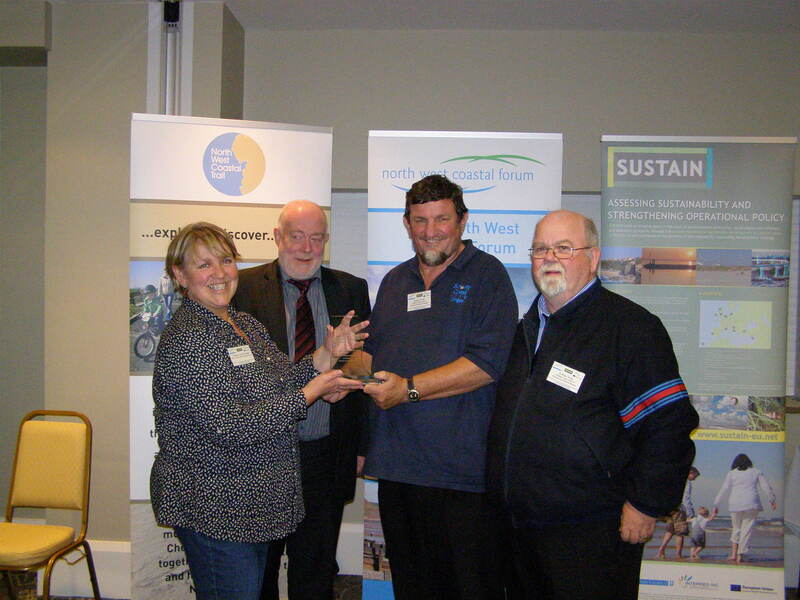 In 2010 the North West Coastal Forum established a new biennial award scheme: NW ACE. The scheme is designed to recognise achievement of individuals, community groups and organisations, both commercial and public sector in contributing to the delivery of a more sustainable coast in North West England. There are 3 categories: Coastal Champion open to individuals; Coastal Community Action open to voluntary groups; and Coastal Best Practice open to commercial and public sector organisations for particular projects. The 2012 awards were announced at the ‘Delivering Sustainable Coasts’ conference in Southport on 18 & 19 September 2012 and were presented by Professor Annie Worsley, Chair of the North West Coastal Forum. Cllr Heaslip, Allerdale Borough Council with Dr Irving and Graeme Proud from Solway Coast AONB accepting the NW ACE 2012 for Coastal Community Action on behalf of Solway Coast Community Volunteer Group. Friends of the Estuary (Lytham) (Coastal Community Action). NWCF provides the secretariat for two of the North West’s coastal groups – Liverpool Bay Coastal Sub-group and the North West and North Wales Coastal Sub-group (the latter until Dec 2013). We also have a seat on the North West and North Wales Coastal Sub-group and the Northern Coastal Sub-group. In July 2013 we helped to organise the inaugural annual conference of the North West and North Wales Coastal Group: North West and North Wales Coastal Management 2013. 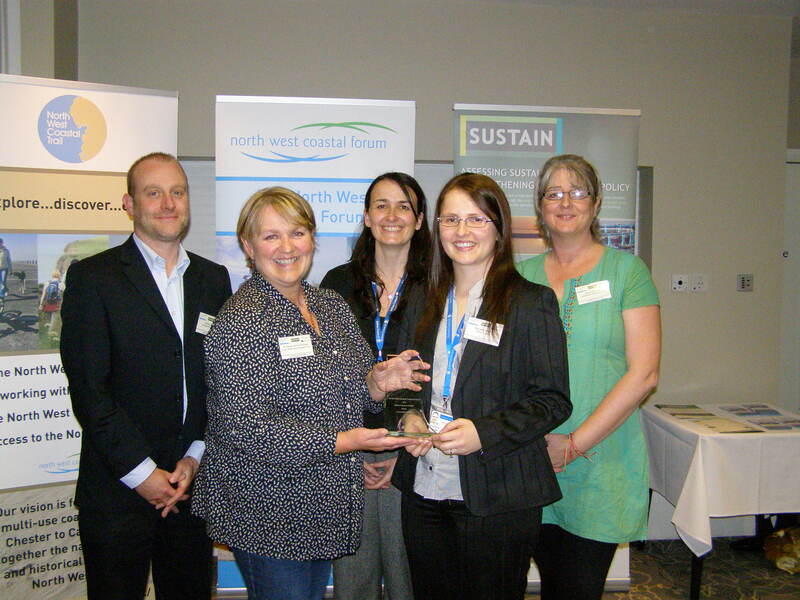 The North West Coastal Forum supports coastal partnerships around the North West. PISCES – the Partnership of Irish Sea Coast and Estuary Strategies – includes all the North West’s coastal partnerships and our two coastal Areas of Outstanding Natural Beauty and PISCES operates as a sub-group of the Coastal Forum. The Chair of PISCES, Susannah Bleakley of Morecambe Bay Partnership, sits on the Coastal Forum Board to ensure good local issues can be brought to the Board for consideration. PISCES includes the Wirral Coastal Partnership, Duddon Estuary Partnership, Morecambe Bay Partnership, Ravenglass Coastal Partnership, Sefton Coast Partnership and Solway Firth Partnership together with the Arnside/Silverdale and Solway Coast AONBs. NWCF also actively supports the work of the Coastal Partnerships Network (CPN) – a national grouping of over 50 local coastal partnerships. The Coastal Partnerships Network (CPN) is a not for profit umbrella body that exists to encourage the exchange of information and debate between Coastal Partnership Officers representing the local coastal partnerships around the English coast. CPN aims to establish links with other coastal stakeholders, to facilitate a more joined up approach to the management of coastal areas and to represent Coastal Partnership interests at national and European levels. NWCF provides the current secretariat and is represnted on the CPN Committee. See www.coastalpartnershipsnetwork.org.uk for more information. Click this link to find out more, or visit the tab in the menu bar. Please note that with the work now progressing on the England Coastal Path the Forum is no longer leading on coastal access although we do still have an ambition to help to secure improved access for horse riding and cycling to and along the North West’s coast.